Communicate a professional image with custom appointment cards printed by PGprint. 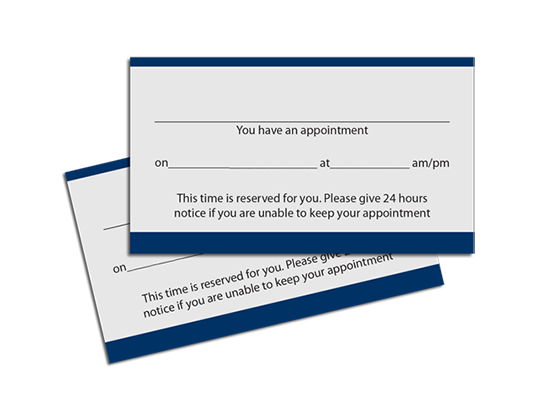 PGprint specializes in producing personalized appointment cards and more. Appointment cards are perfect for reminding your customers to come back for maintenance. 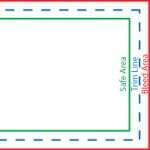 They can be used for mechanics, doctors, service industries and much more. Hand out your custom appointment cards in person, and create a positive and lasting impression. Make sure that your personal appointment cards are professionally done using appointment card printing and color printing services from PGprint. This is exactly what we needed! They are easy to write on (We didn’t get any gloss), and look professional handing them out to our clients. I picked them on time and they are working great to hand out to customers after we have repaired their car.